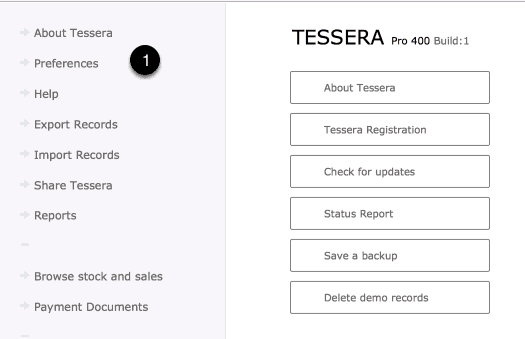 Use the PREFS button from anywhere in Tessera or from the Tessera Screen Home Screen to amend a wide range of settings for the appearance of your printed invoice. Under the Sales Preferences screen there are options with explanations for regularly used features. Use this button to access a screen to design the invoice and control the invoice numbering scheme. 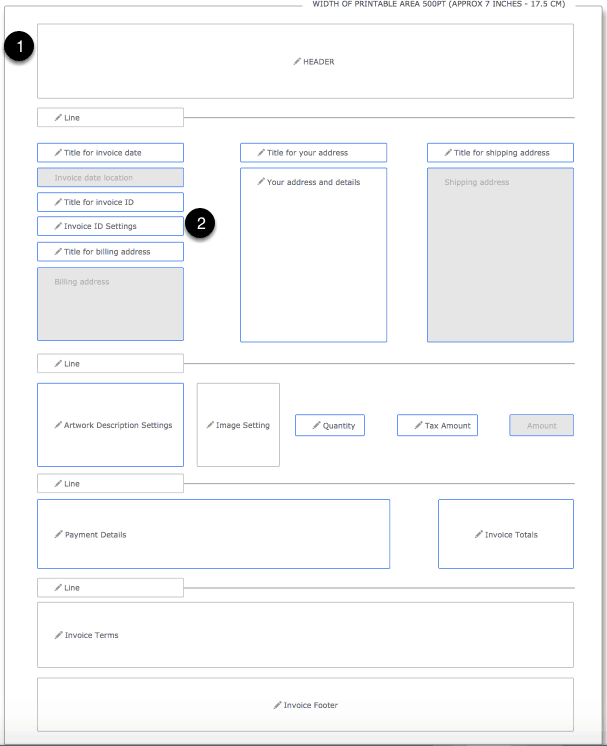 Clicking on highlighted regions reveals explanatory text. Use the Preview Button to review your amendments. Use Invoice ID Settings to control if an Invoice ID should automatically be entered and the formatting of the entry.